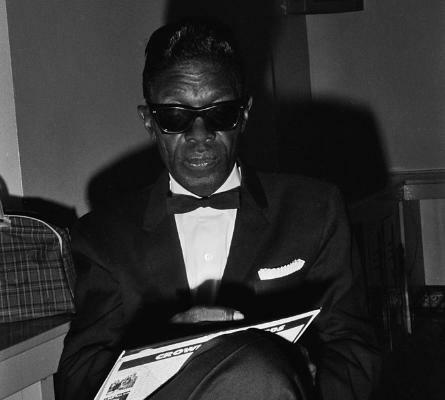 Lightnin' Hopkins, Skip James, Mississippis John Hurt and Fred McDowell - a whole load of the old blues fellows sneaked on to the Barrelhouse turntables. Hopkins is a long-time favourite of mine. He doesn't really seem to care – not about my patronage, I mean, more about his music – but I'm sure he did. He always seems so slack and lackadaisical, but that brings its own magic that you'll never find on the over-rehearsed and over-produced. I love the sound of this album, the woolly double bass and resigned trombone, all recorded live over one afternoon, probably unrehearsed, certainly under-rehearsed if one is seeking "perfection". Still an all-time favourite on the JY-Pod and it sounds perfect to me.